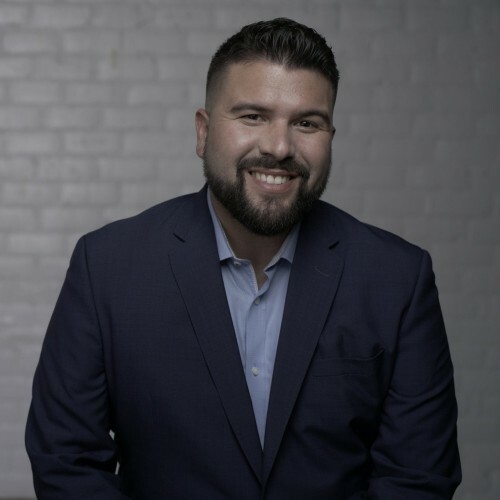 Carlos Gil is a first generation Latino marketing executive, international keynote speaker, and award-winning storyteller with over a decade of experience leading social media strategy for global brands. Carlos' work has been featured by CNNMoney, Harvard Business Review, Mashable, and Social Media Examiner in addition to dozens of trade publications. As a dynamic and charismatic speaker, Carlos' speaking pedigree includes bilingual keynote speeches for clients across the United States, Europe, and South America in addition to presenting at prominent marketing industry events such as SXSW and Social Media Marketing World. Previously, Carlos served as the Senior Social Marketing Manager for LinkedIn's Sales Solutions business unit where he helped grow and evangelize the use of LinkedIn as a social selling and marketing tool. Carlos' track record includes leading consumer-facing digital and social media programs in partnership with Super Bowl 47, PepsiCo, Coca-Cola, Frito-Lay, Tostitos, Mondelez, and Unilever as Social Media Manager for Winn-Dixie, where he developed strategy and led the launch of all Winn-Dixie's social channels, social listening, and blogger influencer program. In addition, Carlos served as the Head of Digital Marketing for Save-A-Lot food stores, a wholly owned subsidiary of SUPERVALU INC., a Fortune 100 company and one of the largest companies in the United States grocery channel. In 2008, Carlos founded JobsDirectUSA.com as a result of a layoff in the financial services industry. Leveraging strong entrepreneurial acumen, Carlos raised awareness for his start-up through social media which resulted in helping thousands of mid to senior-level career professionals find employment during the recession. Carlos' start-up was featured by CNNMoney and other news media in addition to being recognized by Fast Company in 2010 among the Top 50 "Most Influential People Online". A true practitioner and strategist with over 10 years of corporate marketing experience for Fortune 100 companies & global brands. Find out more about Carlos Gil at http://www.linkedin.com/in/CarlosGilOnline.